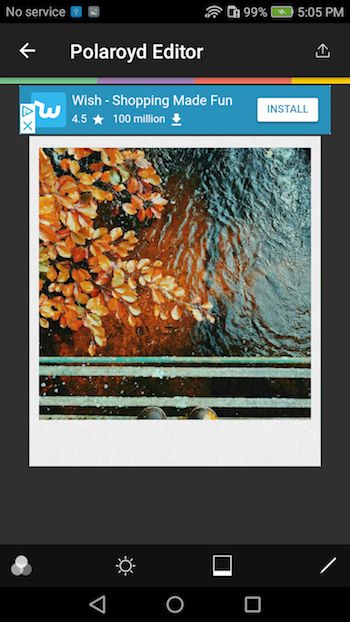 Polaroyd is a Universal App Template where you can take photos with the Camera or pick them from Gallery and edit them like a Pro with nice photo filters and Brightness. 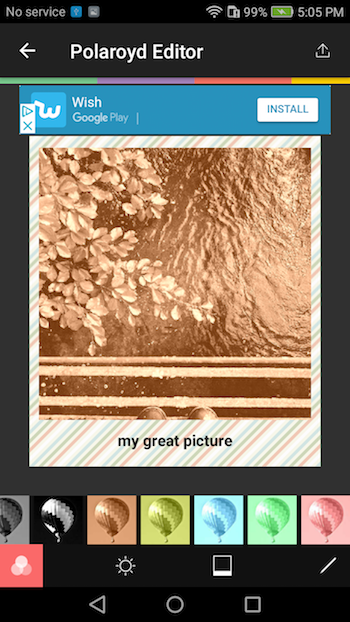 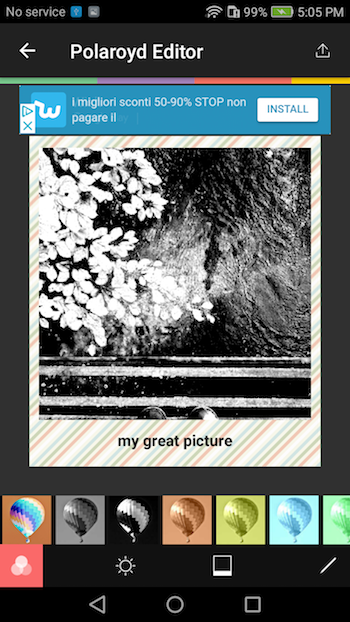 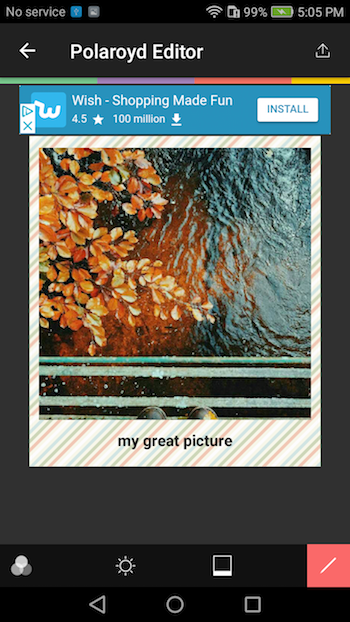 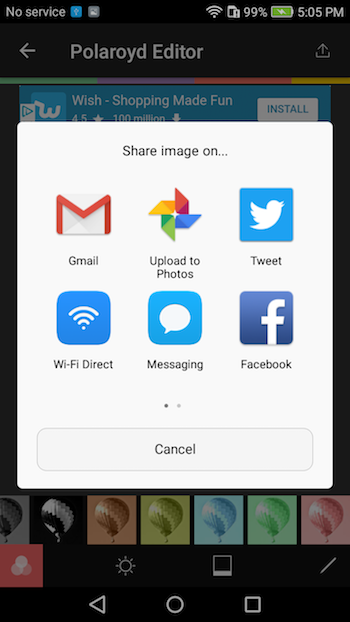 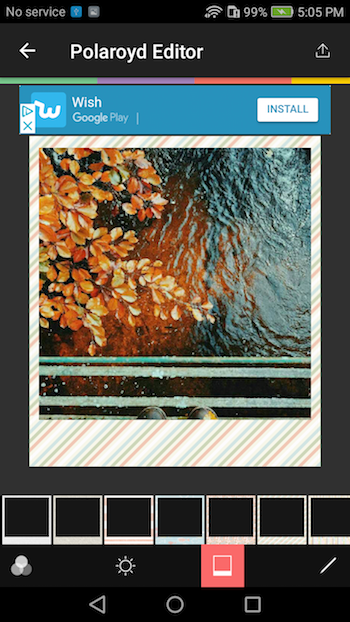 You can choose between different Polaroid frames and add a caption to your pictures, then share them to Facebook, Twitter, Mail, SMS, etc. 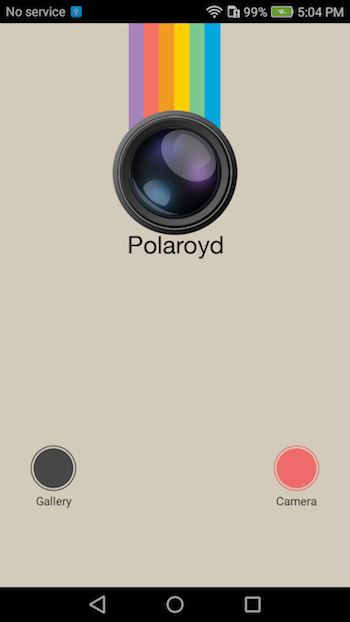 Polaroyd is a native Android Studio project, Universal, super easy to customize.